Animals in Hot or Cold Vehicles – May Missourians Break Windows and Come to Their Rescue? Home Attorney Jefferson City Animals in Hot or Cold Vehicles – May Missourians Break Windows and Come to Their Rescue? Is it a criminal act in Missouri to leave an animal unattended in a hot or cold car? Is it a criminal act in Missouri to break into a vehicle to save an animal from a hot or cold car? Who among us may break into a vehicle to save an animal without fear of criminal prosecution or civil liability? Before you answer…read more. Some Missourians ask themselves…Who wouldn’t break that window and extract an animal from a hot or cold vehicle? After all, it is man’s best friend or a furry loved one overheating or freezing in that vehicle. Still others would reply, this is a tragic issue; however, the animal is personal property and should not be subject to public involvement. Regardless of your position on the topic, each year, animals suffer and die when their owners or guardians make the horrible mistake of leaving them in a parked vehicle in extreme weather conditions. According to People for the Ethical Treatment of Animals (PETA), hundreds of animals die annually because of this mistake in judgment. On their website, PETA indicates animals can suffer brain damage or even die from heatstroke within 15 minutes in certain conditions. But even PETA, an animal rights activist organization that some call controversial and politically active, does not specifically encourage breaking into a vehicle immediately and without a thorough assessment of the situation. Instead, like many other organizations writing on the topic, they suggest you take down the vehicle’s color, model, make and license plate number and have the owner paged in the nearest buildings or call the local humane authorities or law enforcement all the while staying at the scene and not leaving the animal unattended. If the authorities aren’t quick to respond or don’t come at all, PETA suggests you gather witnesses to confirm your reasonable assessment and then take steps to remove the suffering animal from the vehicle. At no point in their instructions, does PETA inform its readers that breaking into a vehicle may be against the law, or that a civil liability may result. Does Missouri Law Punish Those That Leave Animals in Vehicles? Animal cruelty, neglect, endangerment, and abuse in a variety of forms is illegal in all 50 states. Missouri’s Section 578.009 Animal neglect statute reads: “A person is guilty of animal neglect when he has custody or ownership or both of an animal and fails to provide adequate care or adequate control, which results in substantial harm to the animal.” But after a cursory review of Missouri law, it does not appear that Missouri is one of the 16 states that have formerly enacted laws specifically prohibiting animals left in hot or cold vehicles. Michigan State University’s Animal Legal & Historical Center publishes an annual Table of State Laws that Protect Animals Left in Parked Vehicles (found at https://www.animallaw.info/topic/table-state-laws-protect-animals-left-parked-vehicles). Their 2017 table indicates only Arizona, California, Illinois, Maine, Maryland, Minnesota, Nevada, New Hampshire, New Jersey, New York, North Carolina, North Dakota, Rhode Island, South Dakota, Vermont, and West Virginia have adopted laws that protect animals from being trapped in vehicles. Those states without such laws in place are Alabama, Alaska, Arkansas, Connecticut, Washington D.C., Georgia, Hawaii, Idaho, Iowa, Kansas, Kentucky, Louisiana, Michigan, Mississippi, Missouri, Montana, Nebraska, New Mexico, Oklahoma, Oregon, Pennsylvania, South Carolina, Texas, Utah, and Wyoming. Why haven’t more states adopted “hot car” laws? Well, imagine the task of drafting “hot car” legislation in today’s political climate. The process would be terribly complex. Additionally, subsequent litigation that arises from the laws may be staggering as well if the statutes are poorly drafted. What animals are covered? What temperature is too hot or too cold? What if the vehicle is still running with climate control measures in place? What if there is food and water left for the animal? What if the owner or guardian became delayed by no fault of her own? Is the vehicle in a remote setting or parked near a home or business? Is the vehicle parked in the shade or under the hot sun? For these and many other reasons, “hot car” laws that have been enacted avoid the prohibition of specific conduct such as confinement of an animal at specific temperatures for a specific amount of time. Instead, the laws seem to prohibit a broad range of conduct, and read vaguely such as to “prevent confinement of an animal in a manner that endangers his/her health or safety.” Some laws go further and limit their scope to certain types of animals. For example, in Colorado, Maryland and Minnesota, only cats and dogs are addressed, but in New York and Virginia, any companion animal is included. South Dakota protects cats, dogs and other small animals, but in North Carolina they specifically exempt livestock while protecting most other animals. Finally, Indiana, Florida, Wisconsin and Nevada protect domesticated animals only. Who Can Break into a Vehicle to Save an Animal? Do those states with “hot car” laws allow anyone to break into a vehicle? The answer appears to be no. States that have enacted “hot car” laws seem somewhat unanimous in limiting those parties who may break into a vehicle to save an animal. Most of the time, those allowed to break into vehicles are law enforcement and humane officers only. According to the Michigan State table aforementioned, the states allowing public officials to break into a vehicle to rescue an animal are: Arizona A.R.S. § 13-2910; California Cal. Penal Code § 597.7; Delaware 11 Del.C. § 1325(b)(6); Illinois 510 ILCS 70/7.1; Indiana IC 34-30-30; Maine 7 MRSA § 4019; Maryland Md. Transp. Code § 21-1004.1; Massachusetts Mass. Gen. Laws ch. 140, § 174f; Minnesota M.S.A. § 346.57; Nevada N.R.S. 202.575 (which has been amended by SB 409); New Hampshire N.H. Rev. Stat. 644:8-aa; New York NY Agri. & Mkts. § 353-d; North Carolina NC ST § 14-363.3; North Dakota NDCC, 36-21.2-12; Oregon ORS § 167.345; Rhode Island Gen. Laws, 1956, § 4-1-3.2; South Dakota S D C L § 40-1-36; Vermont 13 V.S.A. § 386; Virginia Va. Code Ann. § 3.2-6504.1; and Washington RCWA 16.52.340. Some states with “hot car” laws refuse to identify those allowed to break into a vehicle (e.g., New Jersey N.J.S.A. 4:22-26 and West Virginia W. Va. Code, § 61-8-19). Wouldn’t Missouri’s Good Samaritan Law Allow for Breaking into a Vehicle? Still other states have “Good Samaritan” laws, or proposed laws similarly targeted, that allow private citizens and those with specific training to break into a vehicle and take matters into their own hands. In Arizona, a state known for hot temperatures, HB 2494 proposes to provide civil immunity for those who rescue domestic animals from locked and unattended vehicles after notifying law enforcement. Colorado’s Co. Rev. Stat. 13-21-108.4 grants civil and criminal immunity to those rendering emergency assistance to a dog or cat in a locked vehicle. Missouri’s Good Samaritan Law Section 537.037 RSMo is often referenced by some in our state who desire to help animals in hot or cold cars, but this law does not specifically target pets or animals in its text. Instead, Section 537.037 is silent regarding the type of victims that can be helped without liability. It exempts any physician or surgeon, registered professional nurse or license practical nurse or any person licensed as a mobile emergency medical technician from civil damages for acts or omissions other than damages occasioned by gross negligence or by willful or wanton acts or omissions when rendering emergency care. Again, no reference to dogs, cats or domesticated animals is written in Missouri’s Good Samaritan Law. Perhaps annotations or subsequent litigation has provided some clarity since the law’s adoption. The good news for Missourians who want to rescue animals from vehicles is that in most instances, if the damages to vehicles does not exceed $500.00, the penalties for such conduct generally result in misdemeanors or civil fines/infractions even for repeat offenders. Some prosecutors avoid the topic altogether by refusing to charge good intending people. So, let’s review those questions located at the beginning of this article. (1) Is it a criminal act in Missouri to leave an animal unattended in a hot or cold car? Answer: Perhaps. If the prosecutor finds the conduct to be worthy of a charge or if the conduct is found to violate Missouri’s animal neglect statute. (2) Is it a criminal act in Missouri to break into a vehicle to save an animal from a hot or cold car? Answer: Perhaps. If the act is premature and without reasonable assessment of the situation, chances are likely the conduct could result in criminal or civil proceedings. (3) Who among us may break into a vehicle to save an animal without fear of criminal prosecution or civil liability? Answer: Few in Missouri. The Good Samaritan Law may provide some relief to rescuers if you can prove that animals were the victims Missouri lawmakers intended to address. Todd Miller regularly writes and speaks on various legal topic including estate planning, probate and elder law. He formed the Law Office of Todd Miller, LLC, 1305 Southwest Blvd., Ste. A, Jefferson City, Missouri in 2005. 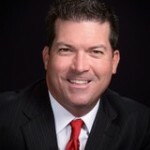 He has been recognized as 2016 Adviser of the Year by GolfInc; Golf Tax Consultant of the Year by Boardroom Magazine three times; and “10 Best” attorneys by the American Institute of Family Law Attorneys and “10 Best” attorneys by the American Institute of Criminal Law Attorneys. Mr. Miller earned his juris doctorate degree from the University of Missouri School of Law in 1999 and graduated with honors from Lincoln University in 1991. You may find him at www.toddmillerlaw.com (573) 634-2838 or on Facebook, LinkedIn, and Twitter.